David Ridley is the Dr. and Mrs. Frank A. Riddick Professor of the Practice of Business and Economics. He is also the Faculty Director of the Health Sector Management program at Duke University’s Fuqua School of Business. In his research, David examines life sciences innovation and pricing. David was the lead author of a paper proposing the priority review voucher program to encourage development of drugs and vaccines for neglected diseases. It became law in the U.S. in 2007. Mary Frances Luce is the Robert A. Ingram Professor of Business Administration at the Fuqua School of Business at Duke University. She is also the Associate Faculty Director of the Health Sector Management program. She is a member of the marketing area and has recently taught the marketing core. Her research interests lie in consumer behavior, medical decision-making, and the effects of negative emotion on decision behavior. Her recent research has appeared in American Journal of Bioethics, Emotion, Journal of Consumer Research and Health Psychology. She was recently Fuqua’s Senior Associate Dean for Faculty. Ronnie Chatterji is an Associate Professor of Strategy at the Fuqua School of Business. Dr. Chatterji’s research and teaching investigate some of the most important forces shaping the global economy and society: entrepreneurship, innovation, and the expanding social mission of business. Preyas Desai is the Spencer R. Hassell Professor of Marketing. His teaching and research interests include marketing management, distribution channels, and the marketing of durable goods. Jim Emery is a Faculty Co-Director for the Fuqua Client Consulting Practicum and an Associate Professor of the Practice in the Management and Organizations department. His leadership research focuses on loyalty, trust, and inspiration in leader follower relationships and how educational experiences affect leadership development. Dr. Emery’s background includes research as part of an interdisciplinary research team funded by a grant from the Department of Veterans Affairs to explore how to improve teamwork in patient care processes and management consulting experience with provider and payer organizations. Dr. Emery is also part of the faculty participating in the Leadership Program in Integrative Health care at Duke University. Pranab Majumder is a Faculty Co-Director of the Fuqua Client Consulting Practicum and an Associate Professor of the Practice in Operations Management. His research is in the area of operations strategy, supply chains, and sustainability. Dr. Majumder’s research has been published in academic journals like Management Science and Production and Operations Management. He is a member of a team that received NIH funding to address barriers in adult hearing health care. Dr. Majumder teaches electives in Operations, including Operations Strategy, Supply Chain Management, Service Operations, and Health Care Provider Strategy. Mark McClellan is the Director of the Duke-Margolis Center for Health Policy. Dr. McClellan is also the Robert J. Margolis, MD, Professor of Business, Medicine, and Health Policy. Ryan McDevitt is an Assistant Professor of Economics. Dr. McDevitt’s research focuses primarily on the field of empirical industrial organization. He has conducted large-sample studies on various topics, including firms’ responses to changes in their reputations and the correlation between a firm’s name choice and its quality. In a separate line of research, Dr. McDevitt and his co-authors have estimated structural models of firms’ decisions to differentiate in health care and venture capital. Barak Richman is the Edgar P. and Elizabeth C. Bartlett Professor of Law and a Professor of Business Administration. His primary research interests include the economics of contracting, new institutional economics, antitrust, and health care policy. 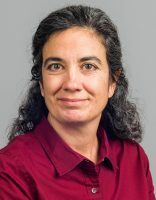 Sim Sitkin is a Professor of Management and Organizations and the founding Faculty Director of the Fuqua/Coach K Center on Leadership and Ethics (COLE). Dr. Sitkin’s research focuses on leadership and control systems and their influence on how organizations and their members become more or less capable of change and innovation. Donald Taylor, Jr. is a Professor in Duke University’s Sanford School of Public Policy. 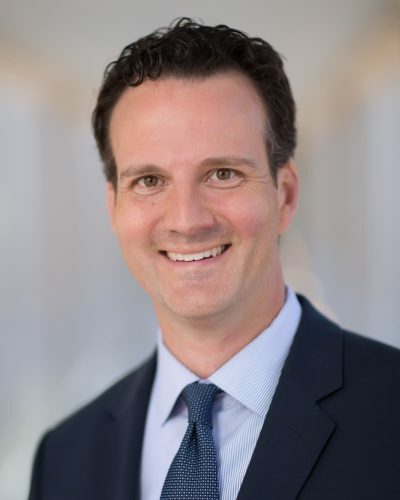 He is a health policy scholar who focuses on end-of-life policy generally, with a particular interest in reform of the Medicare hospice benefit and the integration of palliative care into the health care system. Peter Ubel is the Madge and Dennis T. McLawhorn University Professor and Associate Director of Health Sector Management. He is a physician and behavioral scientist at Duke University. His research and writing explores the quirks in human nature that influence peoples’ lives — the mixture of rational and irrational forces that affect health, happiness and the way society functions. Dr. Ubel is currently exploring controversial issues about the role of values and preferences in health care decision making, from decisions at the bedside to policy decisions. He uses the tools of decision psychology and behavioral economics to explore topics like informed consent, shared decision making and health care spending. His books include Pricing Life (MIT Press 2000) and Free Market Madness (Harvard Business Press, 2009). Dr. Ubel’s newest book, Critical Decisions (HarperCollins), came out in September of 2012, and explores the challenges of shared decision making between doctors and patients. Faculty in HSM are innovative thought leaders and researchers across the health care spectrum. Read more about HSM Faculty Research.